My colleagues sometimes laugh at me when this particular woman comes in to sell shoes to the ladies and they see me show face. They think I have too many shoes already...well I dunno if that's true because as is I need sandals and more shoes of course *shines teeth* One day I chose to do a shoe count and saw some pairs of shoes still there unworn (oh so you thought I was gonna divulge how many pairs I got...no way) The realization that I have a couple currently not being worn put me in a very generous mood. Any interested blog reader? Please indicate in comment box ;-) The black is a 40 while the orange is a 39. I actually thought the orange would fit since it's a sandal but nah e nor gree. It's a tad too small for me so I haven't worn either. I give the first persons to show interest and please pick up is on you(one shoe per individual. No double anointing here biko). 5. Make up ten new questions for your nominees to answer. 1. What is your biggest pet peeve? MY BIGGEST PET PEEVE WOULD BE EMOTIONAL MANIPULATION. I hate it with a passion and the manipulators themselves! 6. If you had to teach your kids one lesson in life, what would it be? YOU MAY NOT BE AS BRILLIANT AS THE NEXT GUY/GIRL BUT YOU ARE DEFINITELY BETTER THAN HIM/HER AT SOMETHING. EXPLORE YOUR UNIQUE BRILLIANCE! 9. What is the most terrifying moment of your life? WHEN CHRISTIE PASSED. WHEN I NEEDED TO WRITE AN EULOGY, IN THE DARK AND ALONE. WHEN I NEEDED TO WATCH HER BODY BEING LOWERED TO THE GROUND. 2. You ever had a crush? Who was/is your crush? 4. Imagine you get N15,000,000 in one month what would you do with the free money? 6. If you had a chance to ask for one favor from either of your parent right now what would it be? 7. Assuming I am a Marketing Manager in charge of all brands globally :-) which of my brands would you love to model for and why? 8. What is that one song that causes you to pause to dance every time in comes on radio or TV? 9. Which do you prefer to be seen in at all times - native, formal wears or semi-formal? 10. Who's the last person you talk to before going to sleep? Come back here and answer question 3 jor. At least tell us how many pairs of shoes you have. Lovely shoes. I want the orange one!!! Oya where do you stay so i can figure if the pick-up would be easy. Thanks for indulging. I enjoyed your responses. wait, you nominated Duru 3 times?? lmaoo. How about that Adaezenwa on your bloglist? Women never have enough shoes, I think. You go girl. Rock it! Rock it!! Rock it!!! I nominated you for this award too (on my wordpress blog) and the very funny thing is.... your answers are very similar to the questions I asked. All these female Shoe sharing going on here... There is God o. It is more than Hinteresting to know that our ladies nominate guys for female awards & when Lola goes blank, all that comes to her is Duru, Duru and Duru...lol Guys Rock. Green is my colour evident in my blog theme. Cheers Lola... Looking forward to meeting you someday soon. Don't worry I am sure we will see someday soon if we haven't passed by each other already...have a blast! Ahaaaa!! I was happily reading and smiling oh and then bam see my name staring back at me... I have two now and since the questions are diff, I'll have to answer ten questions then chaiiiii. It's because is you oh namesake. You ppl want me to get my mojo back by fire by force... thanks lola I'll get to it sooner rather than later. hehehhehehehehehehehh Chissssooooosss!! 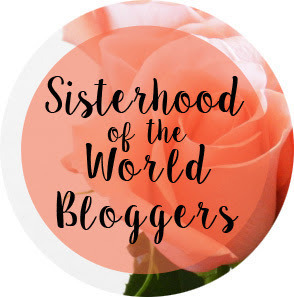 aYaf Officially been Sister Zoned by all of you on Blogger! ah!! mogbe! waRRapiN nah?! Aha! Eeezzz soo not fair oh! Just when I thought I had shakira shakiraD myself outta Toin's nominatoon! thenn this comes through! and it came through in Part 1, Part 2 and Part 3 :) oh! Now i am in real Trouble! cause Diariss no how nor way under the sun that i can turn Down both Lola and Toin! **looks up to Heaven.. then **Tears shirt the **screams.. god! why meeeeeeee?!!! heheheheheheh Lmao! thank you so much for this Lola.. You just gave me an #ItcanonlybeGOD moment nne.. cause aYam totally undeserving of the 3 Nominations.. heheheh Kai! ya shaa a brain geh! You sha know that I cannot say no nah! Ooooohhhooo! Lola! lmao! So Number 3 huh?! You must to talk oh! Pray do Tell.. What eez the secret that ye Tellest us not?! :).. And in as much as I fear to say this.. i wish there was no Hell.. I wish i could just live me sometimes. But there is.. So! :) And oh Lola.. Your number 5 and Number 9 got me.. They git me Baje baj... It is well Bubba.. It is well..
Oh Lola! how can I ever be grateful for the day our paths crossed?! I mean as if your Kind ANGELIC SUPER gesture of Yesterday diNNor make me fall in lof with you enough.. this post just blew me to cloud 9 (Trust me.. I know why I am happy like this.. Eezz depp like that).. I thank GOD for the day we met! its a really tough time for me now Lola.. With all the pressure et al.. But Folks like you.. Toin and Janyl et al. You all make it all so easy.. GOD bless you Lola! Oya Bye Bye before I tell you "I loff you" Oh! shoot! I forgot.. I already did.. Oya **Screams.. I LOVE OYINLOLA SOBOWALE.. She Badt like that Gang! Aswear down.. And the crowd goes.. Oooossshheeey Turn uP! Hehehehehe...sorry I am just getting to this. Late comers welcomed? WHY WAS THIS JUST A NOTE?